Known for manufacturing, trading and exporting an extensive range of premium quality Silver and Gold Jewelry Items, "Silver Mountain", was established in the year 1990. Our effective product range is inclusive of Bakelite Bangles, Polki Ring and Earrings, Polki Bangles And Bracelet, Victorian Jewellery and many more. 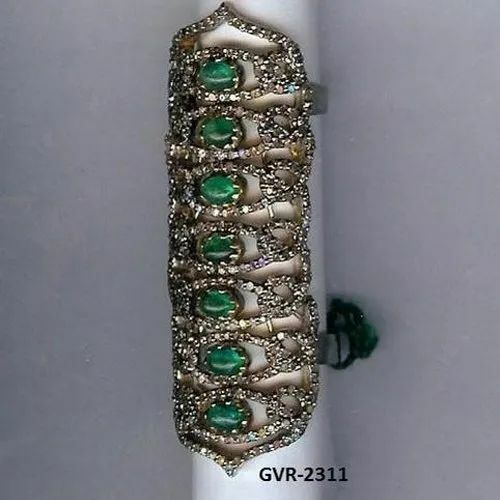 The jewelry items offered by us are crafted from cent percent pure gold and silver, which are procured from trusted, reliable and well-known vendors of the industry. Designed as per the prevailing fashion and market trends, these jewelry items are known for their excellent sheen, smooth finish, distinctive appearance and eye-catching design. These jewelry items can be customized as per the specifications provided by the customers. Offered by us at industry leading prices, these jewelry items are extremely appreciated among our customers. We are exporting globally. Owing to our ability to meet the bulk orders within the assured time frame, we have been able to cater huge clientele across the globe. Apart from this, we have been able to gain huge clientele across the domestic markets of New Delhi and Mumbai.